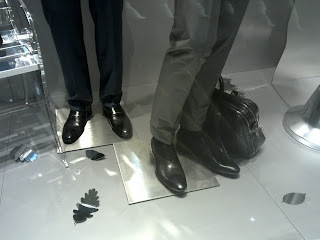 Hugo Boss seems to be a fan of metal hardware this year. 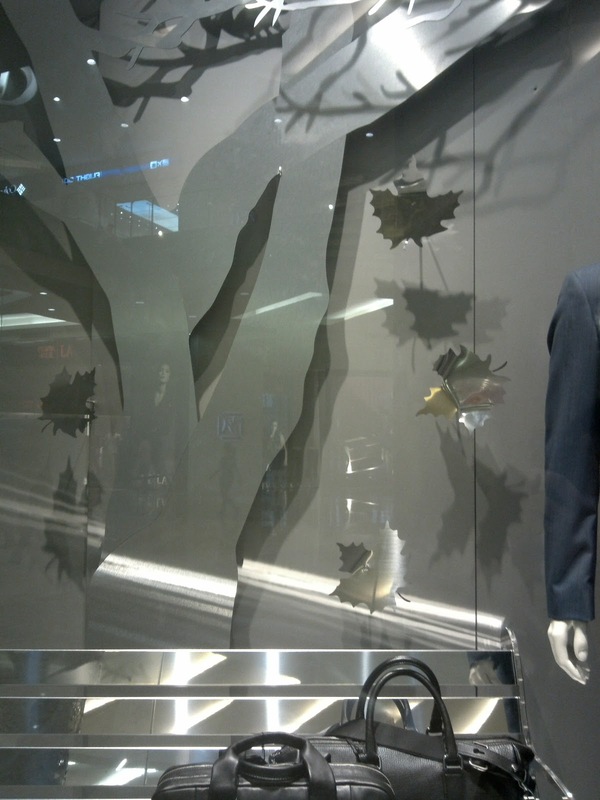 Remember the steel flowers with the flying seed and the Hugo Boss newspaper machine? 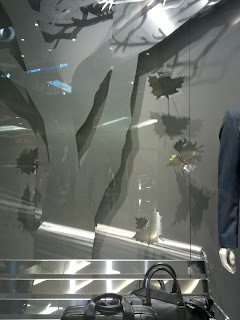 This winter season, Boss Hugo Boss window display at Gandaria City is installed with an autumn scenery in the park made entirely of metal properties. The trees, the bench under the trees, and the falling leaves are all in metallic silver shade and made in perfectly detail proportions. 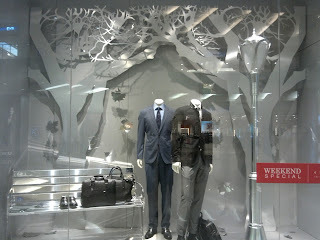 It is nice and match with the brand's esthetic but a little bit boring too.